What do ya'll use to delouse your fowl? Frontline spray, best product on the market for all external pests. This is the stuff to use when nothing else works. Adams Flea & tick spray and also use Sevins Dust... Not that my birds have a problem with bugs. Seems like the bugs don't like my farm... LOL..
i use this. FLEE its generic brand of frontline. Same ingredient (finopril) But half the price Works great !! Adams Plus flea and tick spray. It’ll get rid of anything. Just avoid getting it into their vent or mouth. One spray under each wing should do the trick. This would be the best. The methoprene kills the larva stage of the bug also so this is even better than the original Frontline. Yeah Frontline works good. 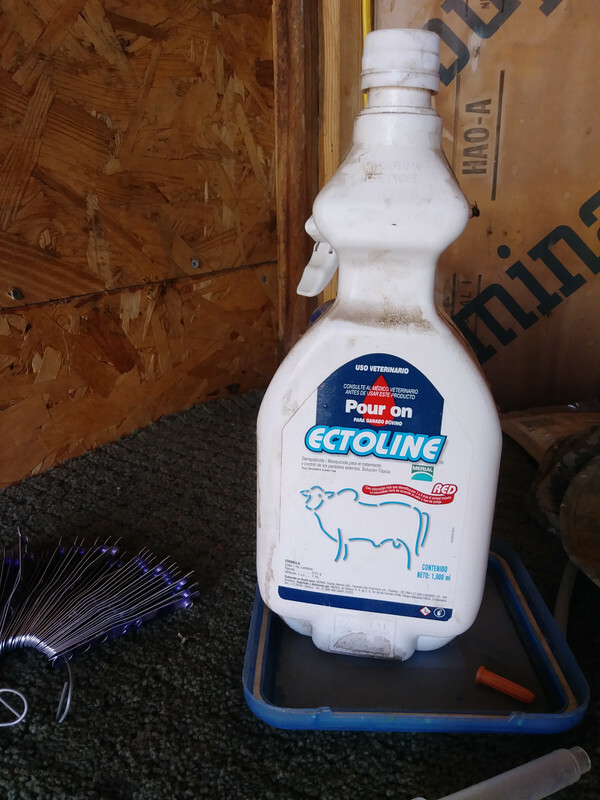 This season I've been trying Ectoline, it's from the same brand but for cattle. Its cold enough here that we don't have much problem with bugs. I always used seven in the pens. I read on this site about ten years back about spraying fowl with deep woods off. I just hold them upside down and spray under wings and around vent and never have a problem. The leg mites are different and I wipe legs down with burnt motor oil. Put an ounce of permethrin a bottle of witch hazel or green alcohol fill rest with water, spay once every 3 months. Tip worm them at same time.